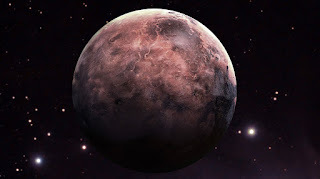 Home » Dwarf Planet » Science » Small Planet » Whos the Smallest planet? » What is the Smallest planet? What is the Smallest planet? There are a couple of different ways to measure how “big” something is. The first is an object’s mass (how much matter it contains) and the second is its volume (how much space it takes up). The smallest planet in regards to both mass and volume is Mercury — at 4,879 km across and 3.3010 x 1023 kg, this tiny world is nearly 20 times less massive than Earth, and its diameter is about 2½ times smaller. In fact, Mercury is closer in size to our Moon than to Earth. Who is the famous Paranormal Expert in the Philippines 2019?